In this day in age, reality shows seems to rule television. But what's worst is a lot of these shows are not suited for the little ones to watch, especially African American reality shows. I'm guilty as charge watching these train wreck shows but it would be better if there were more positive programming showing African American families at a positive light. I remember during my childhood of days growing up watching shows like Family Matters and The Cosby Show. These showed Black families who stood by each other and uplifted one another. There were always a moral of a story presented on each episode on each shows. You don't see shows like these anymore and that's very disappointing. I just gotten an email of a press release the other day about a new sitcom coming to ABC called black-ish, starring Anthony Anderson and Tracee Ellis Ross. The show will air September 24th at 9:30pm. This show looks likes it'll be funny to watch, but I'm not sure if I'm really feeling the title of the show. Here are more details about the show in JET magazine. 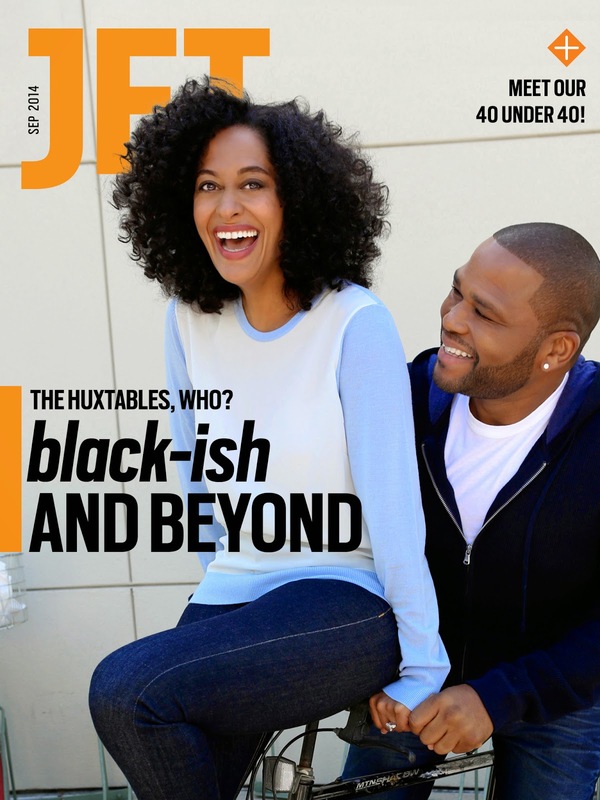 In the September issue, JET presents two covers – one with Anthony Anderson and Tracee Ellis Ross as they prepare to launch their new program, black-ish, and their second annual “40 Under 40 list,” featuring none other than the Jackie Robinson West Little League national champions as the iconic image. Shows such as The Cosby Show, Family Matters, The Fresh Prince of Bel-Air and My Wife and Kids were programs that depicted the African-American family on mainstream television in a positive light. However, the presence of the Black family on network television has been largely missing, other than on reality shows, since these programs went off air. This fall, the show black-ish is set to premiere on ABC on September 24, quenching the desire of those looking for diversity in their television programming. “Around the time of President Obama’s presidency, it seems like there was a switch toward the reality representation of Black families, “said the show creator Kenya Barris. Unlike the Cosby Show, black-ish explores how a well-to-do African-American family in a predominately White neighborhood deals with maintaining their Black cultural identity while also "assimilating" into the culture of their neighbors. 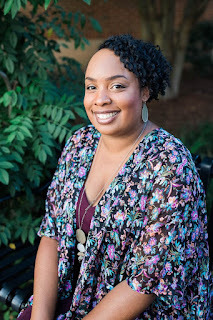 “I think it’s a lovely thing that we’re being compared to something as great as The Cosby Show was at its time, but we’re not trying to emulate them,” said Anderson about the show. Anderson will play the family’s father, Andre Johnson, and Ross will play his wife, Rainbow Johnson. The JET September issue is now available in Apple, Google Play and Amazon stores for download. The magazine has extended the free trial period until September 30. Tips on how to download the latest edition of the JET digital magazine can be found at jetmag.com/godigital. Content on the app is refreshed every Friday on the “Weekly Tap In” and “Beauty of the Week” pages. Are you looking forward to watching black-ish show? I have to be honest, the show looks entertaining but I was a bit put off by the title and wondered how my friends were feeling. I'm glad to see you say something because I was wondering if I was being too sensitive for no reason. I'm definitely curious to see how it does. Yeah I'm not feeling the name at all and it stereotypes people. It looks funny but I'll have to see for myself if it is worth watching. I so miss shows like Family Matters, The Cosby Show, Fresh Prince of Bel-, my wife & kids, & Sister Sister. Then the ones that have come to air lately have a short life span. I so wish my kids had something to watch in this day and time that was more positive. They love watching the shows you named. They get to at least see what we saw. Reality shows aren't a positive image at all. Even though i totally watching them too. My daughters loves watching Family Matters and I'm so happy that the show still comes on. I just wish it wasn't so early in the morning before they wake up. I like both Tracey and Anthony but the title is very off-putting. I'm not sure I will watch because of it. The message of being bi-racial could have been put across with content instead of the tacky title. Yeah the name is very off-putting! What would make them name a show that? Grab attention? Make the show more funnier? They missed the mark on that one. I am put off by the title. I don't watch the new normal reality type tv shows. However, I am addicted to Mob Wives. The other shows I don't think I have watched them once except for the one that has Kevin Hart in it...I don't even know the name lol, it shows how clueless I am. I am open to watching this show though, I am just curious to see how it is going to turn out. I tried to get into Mob Wives but couldn't. I know what show you're talking about Victoria with Kevin Hart, it's called Real Husbands of Hollywood. I tried to get into that show too but it was just not funny to me and the characters on that show were trying way too hard. I admit the title bothers me. But I'm willing to give a show that is not reality show mess we've been subjected to in the last few years. I'm ready to see positive images again! I'm ready for some positive images too! I hope that it is as positive as they're advertising it to be. There has been a decline in the amount of quality family & culturally appropriate shows.